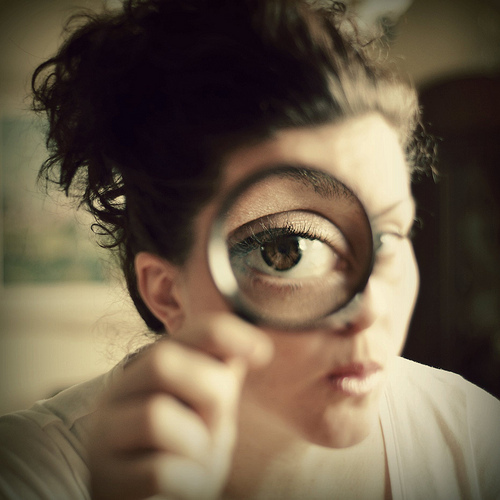 There's a lot of information out there about the abcde's of spotting melanoma, and that's a good thing. (If you missed it, there's a good infographic here.) But what about the other forms of skin cancer? 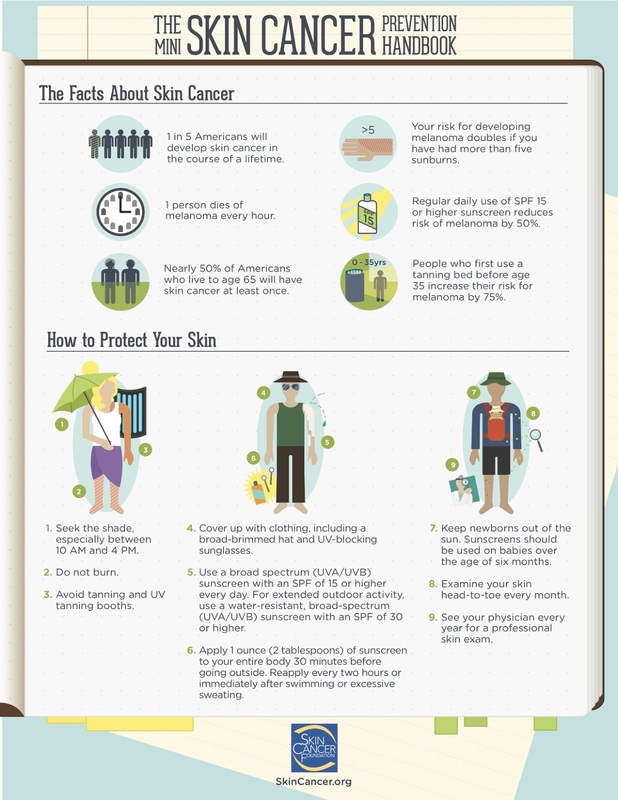 Let's end the month with some warning signs of other forms of skin cancer that we don't hear about so often. I was originally going to include some images below, but since these growths present differently in different people and vary quite a bit, I thought it best to stick with descriptions. You can find a large gallery of images from the American Cancer Society here. So, if you notice something, what should you do? Bottom line - if it's new, changing, crusting, bleeding or drawing your attention in any way, have it checked out by a dermatologist. While these types of skin cancer rarely metastasize, removal is more invasive and can be disfiguring if not caught early. It's a good month for a re-cap! I'm sure I have mentioned all of these things at one point or another through this blog, or in my treatment room, but I still hear these myths and mistakes from my clients when discussing sunscreen. 1) You think it's sunblock. I wrote a post about this last year. There is no such thing as sunblock. No sunscreen will block out 100% of UV rays. Protective clothing, a hat, and seeking shade during peak hours (generally 10-2pm) are all components of safe sunning. Because the active ingredients in sunscreen degrade with exposure to UV, it is important to reapply every 2 hours, or after swimming to ensure you stay protected. 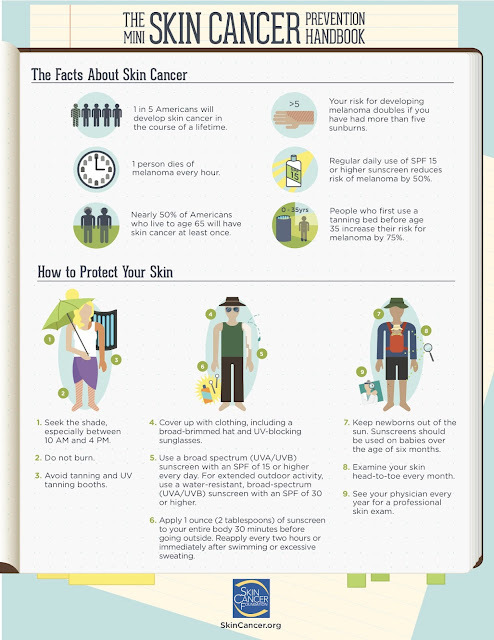 2) You're not wearing sunscreen when it's cloudy, or you're not planning to be outside. Think you can skip the sunscreen on cloudy days? Think again. While cloud cover can block some of the UVB rays, UVA passes through clouds and glass. These rays penetrate deep and do the damage we often refer to as "photo-aging". You can find a post I did on UVA and UVB here. Think of applying your sunscreen like brushing your teeth. Every day. Rain or shine. 3) You're not wearing enough. Apply a line of sunscreen down the first two fingers of your hand, that's enough for your face and neck (reference the handy photo). For the body, it's approximately two tablespoons. Any less than that and you're not receiving the coverage listed on the label. 4) You think "it's in my makeup, so I'm covered". When I ask clients if they are wearing sunscreen daily very often I hear "Oh, it's in my makeup." This is an extension of not wearing enough. I've yet to see a client that applies as much makeup shown in the picture above, and certainly not all over the neck. This goes for powders too. The FDA is currently reviewing whether powders can even claim an SPF, due to the fact that there is no established quantity of powder needed to achieve the protection. Now don't get me wrong, I love the fact that companies are incorporating sunscreen into these products, but it should be supplemental protection and not your only coverage. So are guilty of any of the above? Good news, if you are, they are all quick fixes. Broad spectrum coverage, with a feel you love, every single day. Questions? As always, email or message me!